I always look forward to Gettysburg’s Sacred Trust program. 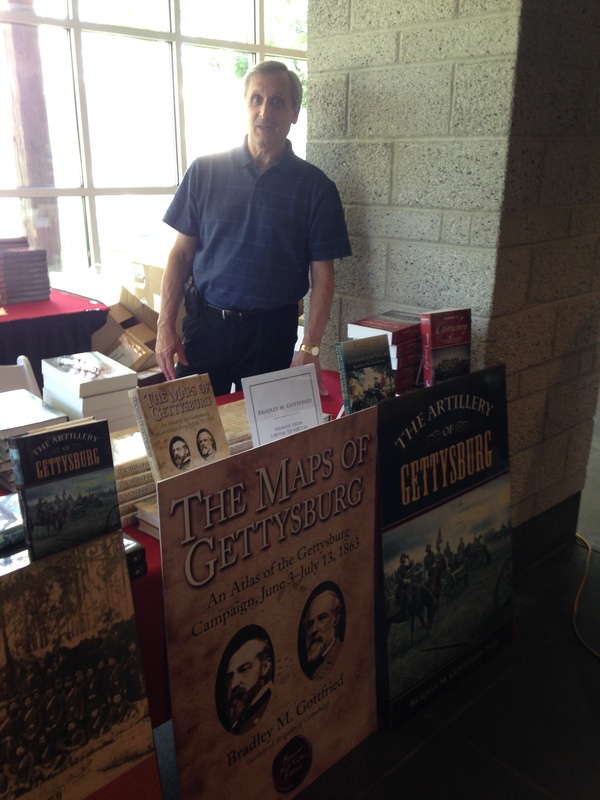 I usually am asked to give a presentation on Gettysburg, and then I sign books for awhile. This year was a bit different, as they had plenty of speakers, so I just signed book for awhile on July 4. I met some great people from all over the U.S. They all had one thing in common– a passion for Gettysburg. I am always so pleased to learn that many people carry my Maps of Gettysburg around the battlefield. One visitor also mentioned that a ranger at the Antietam battlefield was carrying around my book during a tour. That’s why I am writing these books. Not only do I learn so much about a campaign, I am able to share my new insights with others. Few Civil War historians make a ton of money on their projects– they do it for the passion to learn and to share. What do you think? Am I wrong? Every year, the Gettysburg Foundation hosts a series of speakers on Gettysburg. They put up a big tent behind the Visitors Center and lots of chairs. I was surprised to see so many of them occupied when I gave my talk, because it was at the end of the day (July 6, 2013). It is a free event and is coming up again this year. 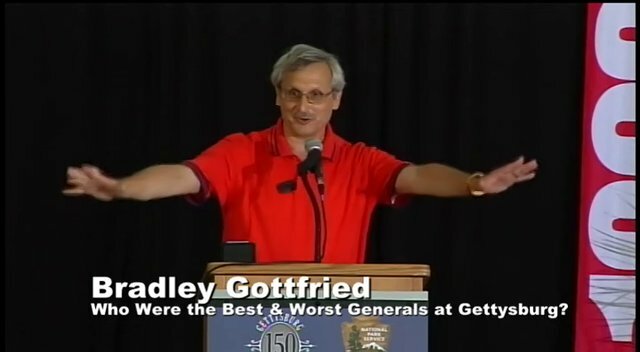 To see me talk about the best and worst generals of Gettysburg, check out this link: http://vimeo.com/72363918. Go to my Resources link to see the entire list of speakers and their videos. I will add my list of the best and worst generals here in a couple of days. As many readers of Civil War history know, I have been devoting my time to preparing map books of the major campaigns of the Eastern Theater. The Maps of Gettysburg was the first book in the series, followed by books on First Bull Run, Antietam, and Bristoe Station/Mine Run. I am now completing a book on the Wilderness Campaign. It will contain 118 full-color maps and accompanying text and is being readied to head over to the publisher. This was a very tough campaign to map. Everyone who reads about the Civil War will roll their eyes when they hear about the Wilderness Campaign. Fighting in dense thickets does not lend itself to clarity and I certainly found that out. Despite the confusion, I believe that I have crafted a book that will really help the reader sort out what happened in those thickets. I certainly have a better sense of it. When I walk around Saunders Field and the Tapp Farm, I have an enhanced appreciation of what these young men had to endure. Sections of the battlefield still contain some thick vegetation, so you can get a sense of what it was like back in May, 1864. 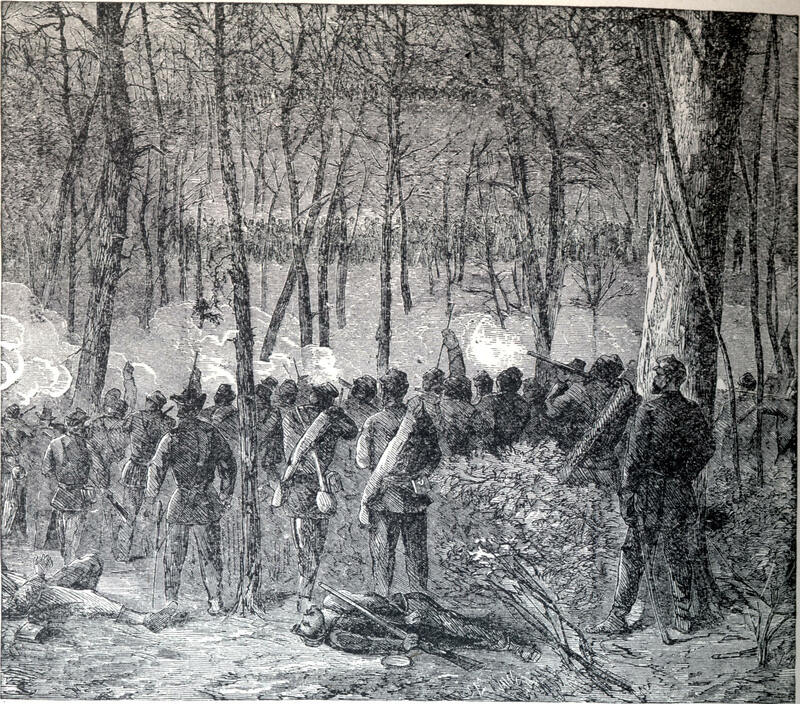 It was a fight where Lee and his ill-regarded lieutenants, Richard Ewell and A. P. Hill, did fairly well. It was fascinating to piece together what seemed to be complete victory by Winfield Hancock’s troops on the morning of May 6, but then transitioned to wholesale defeat just a few hours later, and to see how Lee’s reactions changed from panic to euphoria during this time. I am not sure when the book will be published, but I am hoping it will be in the fall of 2014. Well, my publisher said, “Get a website or blog,” so here it is. I will try to keep it up to date with interesting things I have learned and will update you on my current projects. I hope that you will provide feedback.